Another new year means another new set of games to release. These days it seems like more game companies specialising in otome games are slowing down their production of games, while Otomate seems to be the only one on top reigning supreme. It seems to be a dire environment compared to the hayday of otome gaming, same could be said with BL game companies with Nitro+Chiral possibly being considered as the big OG in BL gaming while there are some small companies popping here and there making one or two games. With the death of the PS Vita, things may get a bit messier or could just keep coasting with the Nintendo Switch or on mobile devices. Either way this niche may find a way to keep surviving. Anyway, onto this overview. The sources I’ll be using to update this post throughout 2019 will be cool-b and otomelab‘s calendars. I used to use otomex as a source but seems like they haven’t updated in a long time. I will try to update this post as the year goes on as best as I can. As you can tell, I’ll only be covering releases of games that are in Japanese and not English releases. Zettai Kaikyuu Gakuen was once a PC game which then got a port to the PS Vita in 2016. Now in 2019 they are porting it to the PS4… a platform that was abandoned by Otomate months after deciding to port some of their games onto. This may be just a late decision that they cannot afford to back out of. But hey, they crowdfunded a fandisc for PC, with a goal of 1.5 million yen they surpassed their goal and have now raised 8.5 million yen (funding 568%). The second volume of an ongoing PC series, Jakou no Lyla. The game focuses on the themes of “love triangles” and “espionage”. The game is split up into 3 volumes for maximum profit, the first volume had the subtitle of “European Nights” focusing on two European boyos, while the second volume has the subtitle of “Asian Nights” with two princes/emperors (I have no idea what the term of an offspring of an emperor is lol) of a vague Asian kingdom/country (I’m guessing China). Shirien, the heroine, is hired by one of the romanceable guys to seduce the target of the client to obtain information or manipulate the target’s actions. Kiniro no Corda Octave is a game similar to Utapri’s Music spin-off games. While not exactly heavily focusing on romance, it does provide fans with a rhythm game containing over 30 songs from both Kiniro no Corda 2 and Kiniro no Corda 3 games. The story has the cast from both games in different situations–Festa Route for Corda 2 and Camp Route for Corda 3 cast, basically it’s more like a spin-off variety game. The game will release on PS Vita, Switch and Steam which may be the first time an otoge/josei-muke game gets released on so many platforms at the same time. [Cast] Kishou Taniyama / Kentaro Itou / Jun Fukyama / Masakazu Morita / Daisuke Kishio / Mamoru Miyano / Satoshi Hino / Hideo Ishikawa / Katsuyuki Konishi / Yuya Uchida / etc. The third and final volume of PC game Jakou no Lyla. This volume focuses on the love triangle between the heroine, her adopted brother and the king of Shanahsa(?). From the looks of it, the game may contain some answers to the mysteries popped up in other volumes (during my playthrough of the first volume, there was a something brought up that Lizaru the king might know Shirien from the past or something, I can’t remember much so don’t take my word for it). Anyway, I’m calling it, this volume is probably the “true volume”, if that makes sense, like a true route lol. From the company that brought you the BL game Gakuen Handsome comes Gekidan Prince, a game voiced primarily by Utaite and is a parody similarly to Gakuen Handsome, except this is an otome game (I think). You/the heroine ends up getting involved with this theatre company full of handsome boyos due to certain circumstances. There is already a trial version up on their website. A port to the switch combing the original Yunohana SpRING! and it’s fandisc Yunohana SpRING! ~Cherishing Time~ into one game. A sequel to Kenka Banchou Otome. Presumably a year after the first game where Oniichan Houou has graduated and Hinako is a second year. There’s a new kid–Tenma Sagara voiced by Kaito Ishikawa–who’s a first year. Also Rintarou’s lil step bro is a first year in Hinako’s school (but still no route huh…). There’s a new fighting mini-game which is neat, but still a far cry compared to the original Kenka Banchou beat ’em up gameplay. A port to the Nintendo Switch where two games–Harukanaru Toki no Naka de 6 and its sequel Harukanaru Toki no Naka de 6 Gentou Rondo–are rolled into one whole game. 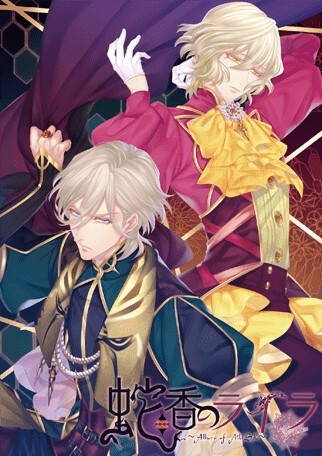 Chaos Lineage is the first Diabolik Lovers game on the Nintendo Switch. 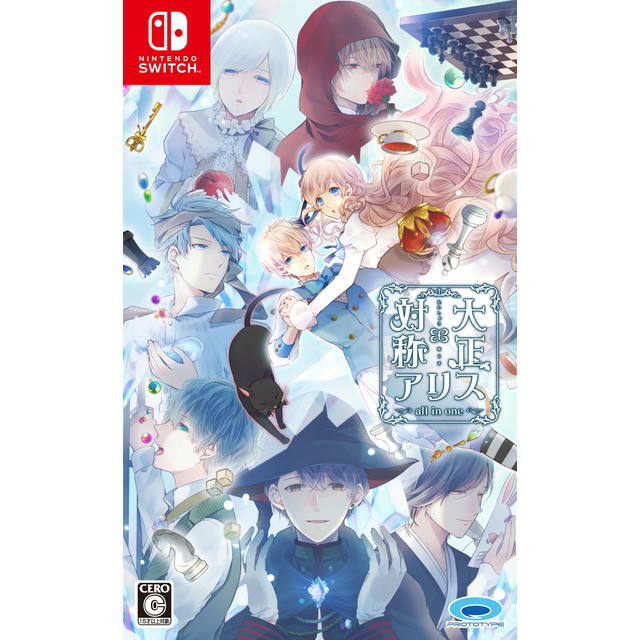 I guess it doesn’t really matter to port all the Diabolik Lovers games to the Switch before putting this sequel on the Switch when this game pretty much shuffles all the guys into different “groups”/”families” so it’s just retconning for the sake of making a new game with a “fresh premise”. Who cares about the feuds between the Sakamaki, Mukami and Tsukinami families (who cares which family Kino belongs to anyway). You’ll prolly not need to know the history in the previous games to play this. A lot of development trouble with this one, a lot of delays and voice actor change due to illness. Not to mention further delaying it until 2019 when it was due to release in October 2018, even the delay didn’t mean changing the platform it would release on nor did it mean taking back the voice actor that was on hiatus due to illness (who was then healthy again during the announcement of another delay). Taisho Alice all in one | 4/18 | Primula / Prototype? *Most likely a port of the PS Vita ver “Taisho Alice all in one”, combining all the Taisho Alice PC games into one game. Possibly won’t include the fandisc “Heads&Tails”. *Port of a PS Vita to the Switch. Unknown if new features, content is added into this port. 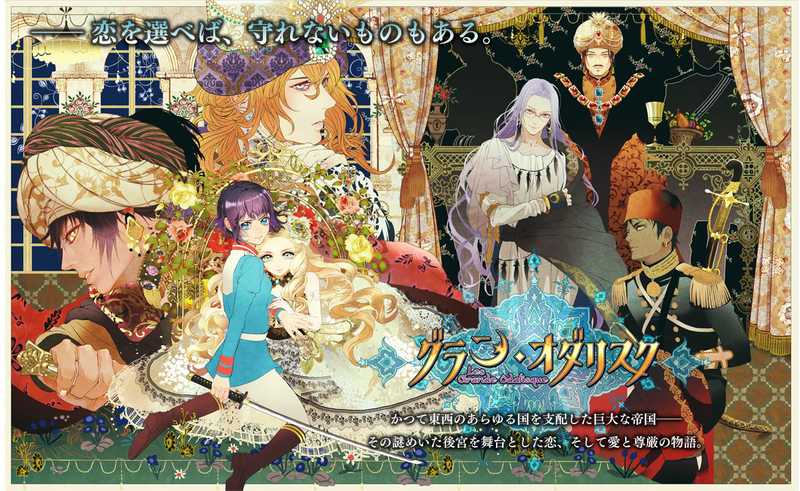 Original game by Otomate to celebrate the 45th Anniversary of “The Rose of Versailles” (also known as “Lady Oscar”). This game will be a new adaptation of the story, sort of an “alternative reality” set in modern day at a private academy. This game will introduce a new character who will act as the “heroine”, who is named after Oscar from The Rose of Versailles as her mother is an avid fan. There is also a planned screen adaptation as part of this project. *Port of the PS Vita game under the same name to the Nintendo Switch. *A port to the Switch that includes the original CLOCK ZERO game as well as bonus features. *A port to the PS Vita of a 2011 PSP game. Has a voiced heroine. Possibly may be the last otome game to release on the Vita. *A port to the Nintendo Switch. Originally released on the PS2 in 2010, has been ported to the PSP, PS Vita and now the Switch. *A port to the Nintendo Switch, combining 3 PC games into one game for the Switch. Bonus content that wasn’t in the original PC games are: after stories for happy endings, 18 new short stories from male character’s point of view, bonus drama CD turned into visual novel scenes with new CGs and possibly more animated sprites + animated heroine. R18 PC game based on the drama CD series “Kankinkon”. Probably about forced marriages or something? Don’t take my word for it. Last December (2018), the website for Grande Odalisque was revamped and the old key visual was replaced with this one (above) and was reannounced the game will release somewhere in 2019 instead of 2018. It’s a bit of a shame that they changed the art style and some of the character designs look different from the original key visual, especially some characters being lighter skinned and the blonde royal girl looking more younger and more vulnerable, while the other heroine looked more serious and strong as if a protector to the blonde girl. Now here with the new key visual it looks like the two girls (I’m assuming both are heroines) just don’t interact with each other lol. I heard the original artist deleted their twitter account for some reason so maybe that has some clue into what happened. Either way, you can be the judge and check out the original key visual for yourself here. Apparently is set in the same universe as Side Kicks!, another otome game by eXtend. It’ll be on both the Nintendo Switch and mobile devices (android and iOS). Despite being also on mobile devices it will not have gacha or consumption items, possibly a pay-for-chapters type of mobile game. Heroine will be voiced. I don’t have anything to talk about in this corner lol. Usually I got something but not much to say. It’ll be an interesting year for otome games, some migration to the Nintendo Switch as well as some companies buckling under pressure with the mobile games on a rise. I just wish that this year won’t have a lot of mediocre or bland otome games (then again, mediocrity is pretty common with some of Otomate’s games). Bring on another KLAP game or something lol. Go wild and risky c’mon. Anyway, that’s all from me. Thanks for reading. Wow! So many switch games/ports. I just bought a switch to play pokemon but I am genuinely interested in playing otome games on it (providing they’ll have actual, decent english translations in the future). 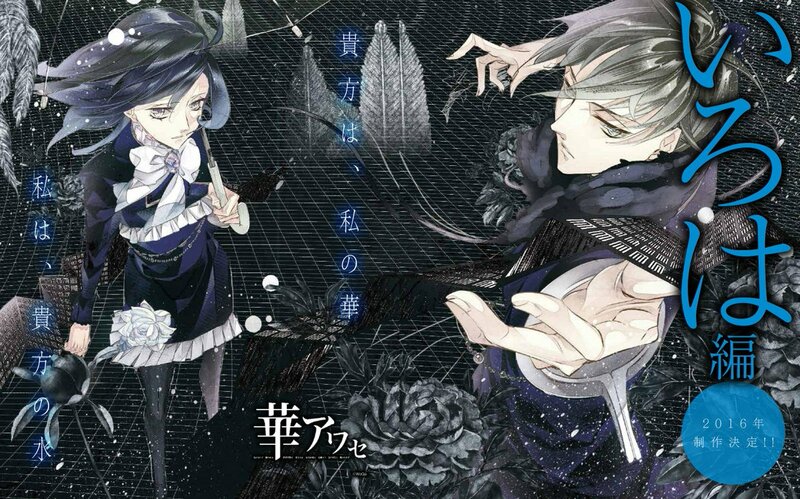 I’ve always wanted to play Hana Awase so that’s exciting. Apparently Hana Awase Iroha Hen was announced back in 2015/2016 and has been in development hell ever since. It’s supposed to be the last volume of the series with the last romantic interest (Iroha) who has been blue balled in the previous three volumes lol. Hope he gets his happy ending soon.